Sclerotherapy is one of the most common treatments performed for spider and varicose veins of the legs. A sclerosing agent (generally a salt solution safe for the body) is injected directly into the veins to be destroyed through a very tiny needle. With the injection, the solution replaces the blood in the vein and irritates the wall of the vein causing it to break down. The body then clears the vein through the natural healing process. Sclerotherapy is a well proven procedure with a long track record of over 75 years. Dr. Lupton will determine if you are an appropriate candidate for sclerotherapy. During your initial consultation, he will examine the areas affected and ascertain the degree and severity of your condition. A combination of modalities may at times be suggested depending upon the nature of your condition. Typically the veins are injected using a very small needle with minimal if any discomfort. Some patients may experience mild cramping immediately after injection but this subsides within a few minutes in most cases. There is no need for topical anesthesia. You may be asked to wear support hose after the procedure for a few days. The compression of the hosiery allows for improved compression of the veins to prevent vessel recurrence. Gradual improvement is noticed in the veins following treatment. Depending upon the severity of your veins, it may require one to three treatment sessions for optimal results. In most cases, the results of Sclerotherapy last from three to five years. Of course this again is dependent upon the degree of severity of leg veins and the age of the patient. Usually new veins will develop over time but the previously treated veins do not recur. What are the risks of Sclerotherapy? For most patients, side effects are minimal and they can resume normal activities within a few days. Excessive standing or vigorous workout regimens should be avoided, however, during the first few days after treatment. The veins treated may get darker and look bruised immediately after treatment and this may last for days to a few weeks. The application of pressure after treatment may help reduce the side effects and aid in faster healing. 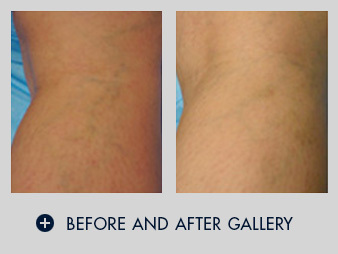 When larger vessels are treated, or in those with darker or tanned skin, a tan-brown pigmentation may develop over the course of the veins treated - this usually fades over time. 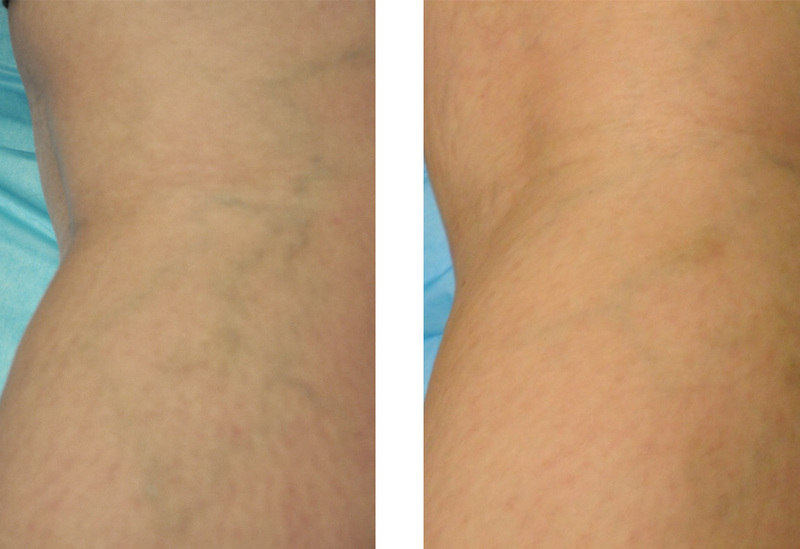 Most studies show that 50-80% of veins disappear with each treatment session of Sclerotherapy. Allow Dr. Lupton to evaluate your skin to see if you are a suitable candidate for this procedure.